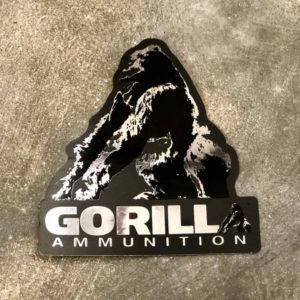 View cart “Gorilla Ammunition Reflective Sticker” has been added to your cart. Show your Gorilla pride with this reflective sticker. Place it on your gun safe, cooler, truck or car to let everyone know you’re part of the Gorilla Ammunition team.